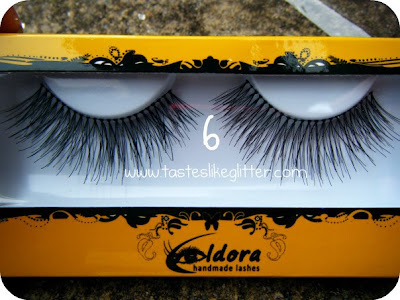 At the weekend, I was contacted by someone from Eldora Lashes, asking if I'd been interested in trying some of the lashes. I said yes and picked out a few pairs and left the rest for them to decide. 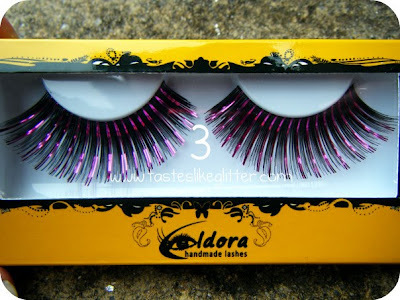 If you like lashes I definitely recommend you check out the Eldora Shop. They have over 200 varieties of lashes. 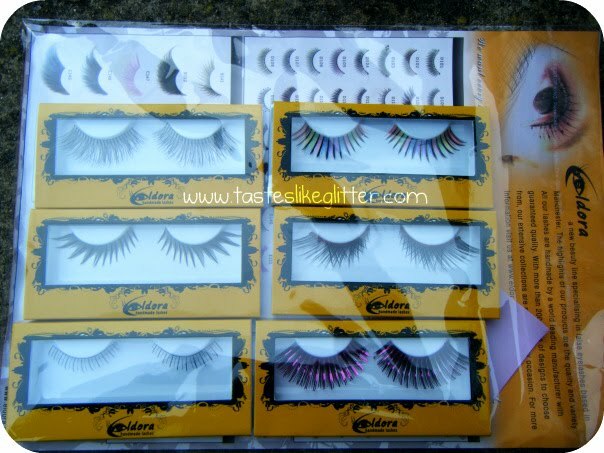 Ranging from the subtle black lashes to crazy colourful ones. I have a little list in my head of all the other ones I want. If you spend over £10 you get a 10% discount and a 20% discount if you spend over £35. If you spend over £20 you get free delivery which is usually £4.90. I'm going to be doing looks and reviews on all of these in the next few weeks. The products in this post were provided for review purposes. First Light Cosmetics Eye Products. Skin MD Natural Shielding Lotion. Requested Eye Photo Tutorial (Picture Heavy). Homegrown Spring Greens Face Of The Day. Golden Eye Face Of The Day.